My thoughts on the latest EP from Yanakoto Sotto Mute. Yanakoto Sotto Mute are a group that are rather highly regarded, at least by the people I tend to interact with the most in this fandom. I’m even on the hype train too, but perhaps not quite as much as some people. It’s one of those weird situations where I obviously know that Yanamute make great music that I do enjoy listening to, but for whatever reason I just don’t really keep up with them as much as other groups. I’ll chalk it up to there being a ton of great music this year and me just having less and less time to listen to it all. The joys of growing older and accumulating responsibilities I suppose. Speaking of this year having great music, naturally Yanamute have contributed to this in a pretty big way. Their debut album “BUBBLE” (review here) is widely considered to be in the running for if not still outright winning the “Album of the Year” race, which for a debut album is pretty high praise. I definitely think it deserves to be held in such esteem but for personally I think there’s probably going to be an album or two that edge it out once all is said and done. You never know though, stay tuned to the site and see how things shake out once we hit the start of January. 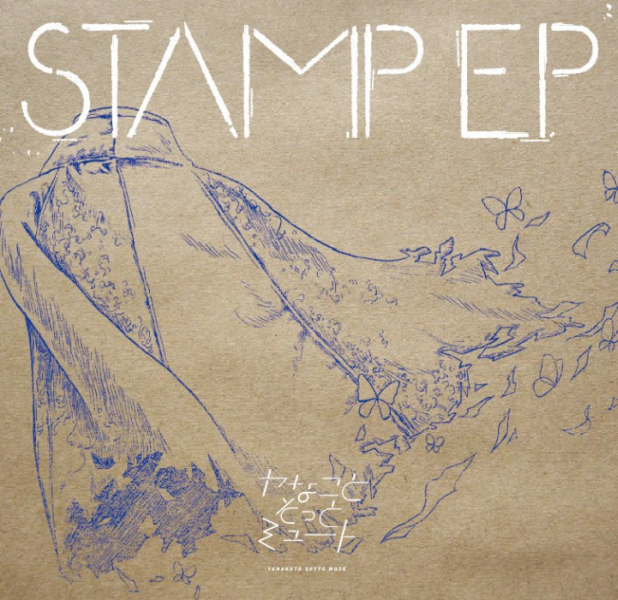 So coming into this “STAMP” EP, I’m kind of wondering which Yanamute we’re going to get here. Emotive, meticulously constructed Rock songs I think it’s fair to say are their comfort zone. That being said, that one song off of “BUBBLE” called “orange” was a bit more Punk-esque, which most of you know by now is a genre of music I hold particularly close to my heart. I wouldn’t mind hearing something else along those lines from Yanamute but realistically I’m kind of expecting more of the same but with a few new toys added to the mix. If they do that, I’m pretty sure both I and everyone else will be pretty content with this release. The first song from this release to greet our ears is “Any” and boy did this one catch me off guard. I know I said I wouldn’t mind hearing more songs from Yanamute with a Punk flair but I didn’t think it’d be the first song off of this EP. This song has some great energy and is still pretty powerful and emotive so it’s definitely a familiar feeling and not too jarring. I guess one thing I will say is that this song doesn’t have the best hook in the world. I don’t think it was written with being an all out Pop Punk banger in mind though so it’s hard to be too mad at it. One song in and I’m already satisfied, but more like this please. Well, “No Regret” isn’t another Punk tinged affair but that’s okay. I’d say that this song sounds more like what a typical Yanamute song sounds like, if any of you are just joining us for the first time. It’s a lot more sombre, serious, whatever label you want to chuck in there. I don’t know about you guys, but I think this song is another great example of Yanamute having some of the best vocals in the game right now. Add to that the absolutely stellar guitar work on this song and it’s hard to really find fault with it in all honesty. You guys will really regret not checking this one out so get on that. You know, I kinda figured that a song titled “AWAKE” would be a bit more “woke” than what we ended up getting here. Don’t worry, I’m disappointed in myself for that joke enough for all of us. I’m not really sure what the best words to describe this song are in all honesty. It’s kinda like a ballad in a lot of ways I suppose. The vocals are certainly deliberately paced with the goal of trying to make them sound as dramatic as possible. Then on the other hand you have this pretty anthemic sounding guitar instrumental which should logically go totally against that. It all somehow works really well when tied together though. I ain’t mad at it. The EP wraps up with “Tenki Ame to Sekai no Parade” or something about “Sunny Rain” and “World Parades” or whatever. Still need to work on that Japanese folks. Anyway, I’m honestly not sure why this song hasn’t been used to promote the EP because I can’t imagine why anyone wouldn’t love it. I’m sort of reminded of a slightly toned down SCANDAL…back when SCANDAL were good of course. “Harukaze” by SCANDAL would be a good example of what I’m talking about actually. In all honesty, for my money this is probably the best song on the EP. I guess Yanamute believe in the old saying of saving the best for last. Well, wasn’t that a fine selection of songs we had here. Lots of variety and each song different in their own distinct way. “Something for everyone” gets thrown around a lot but I think there’s stuff here for a pretty wide range of musical tastes. If you thought Yanamute were a bit one dimensional in the past then hopefully this EP shows that that isn’t the case. Part of me thinks that Yanamute might be done for the year after this release. Who knows though, the world of Idol is an unpredictable place at the best of times. If this is their last outing for 2017 then they can rest easy in the knowledge that at least in my opinion (and many others’) they’ve put out 2 of the best releases of the year.